Wave 14 is finally announced and it’s going to have the long awaited T-65 fix!!! So much goodness here! It’s an entire Rogue One theme! 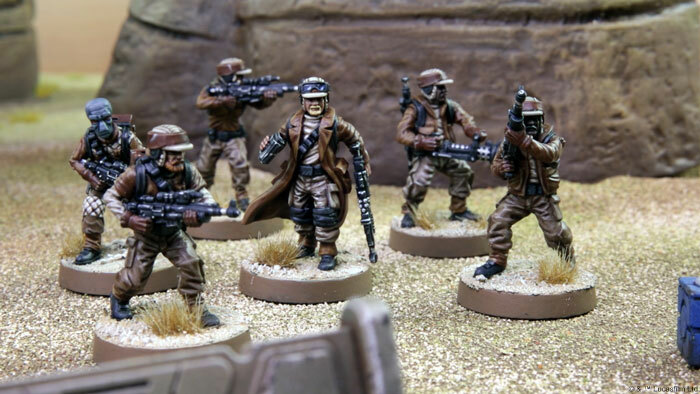 TIE Reapers, Saw Guererra, Partisans! Oh, and by the way NO SCUM! WHAT?!?! Maybe some scum will come soon. A 2-Pack for the rebels includes yet another place to pick up X-Wings and they actually seem to have movable wings! Numerous upgrades in here and several of them say “S-Foil” so we are almost certainly getting that long awaited X-Wing fix! And also apparently some love for U-Wings as well. 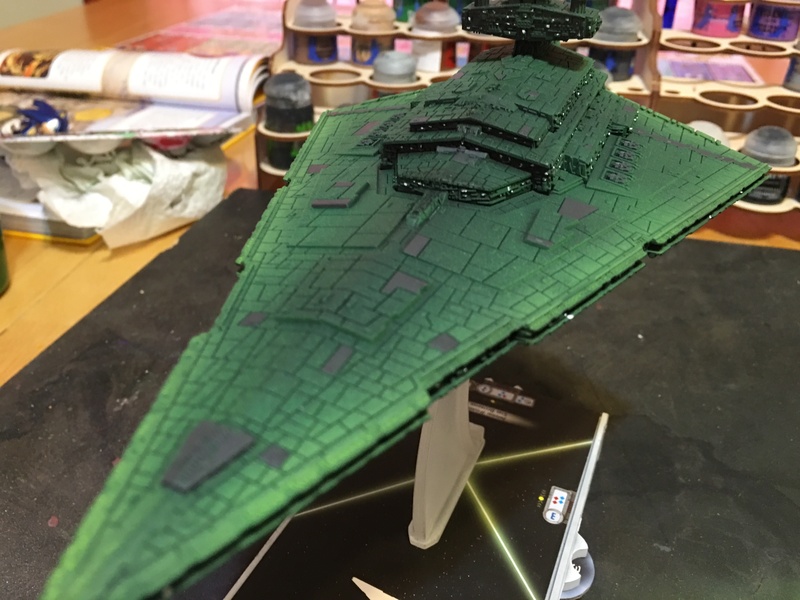 And the TIE Reaper looks amazing! Look at this thing OMG! It is so big for a ship that’s riding on a small base! And you can put Palpatine here as well! Here’s my video breakdown of the wave! I’ve had a few requests for Scanned Images of the Wave 7 cards and tokens as well. My scanner isn’t the best, but hopefully this will work! 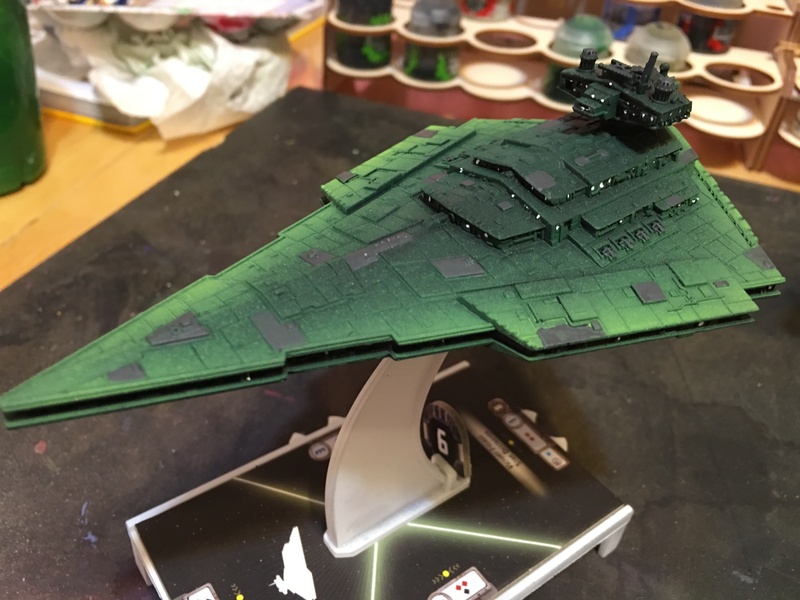 Armada Wave 7 in hand! 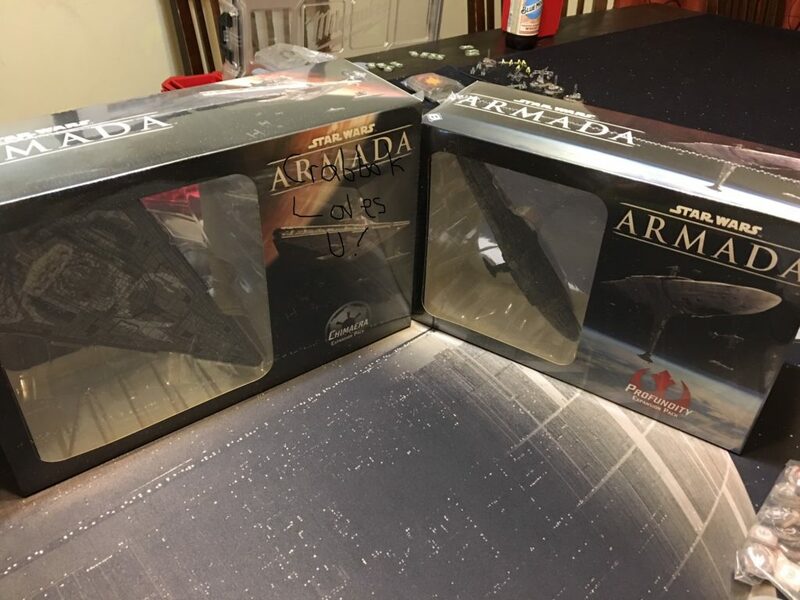 It was just a normal night, in fact I was getting ready to play some Armada with a friend. When suddenly, my doorbell rang. It was late, and the kids were already in bed. Curious as to who could have been at my door this late, I opened the door to see that nobody was there, but instead a package was laying at my door! 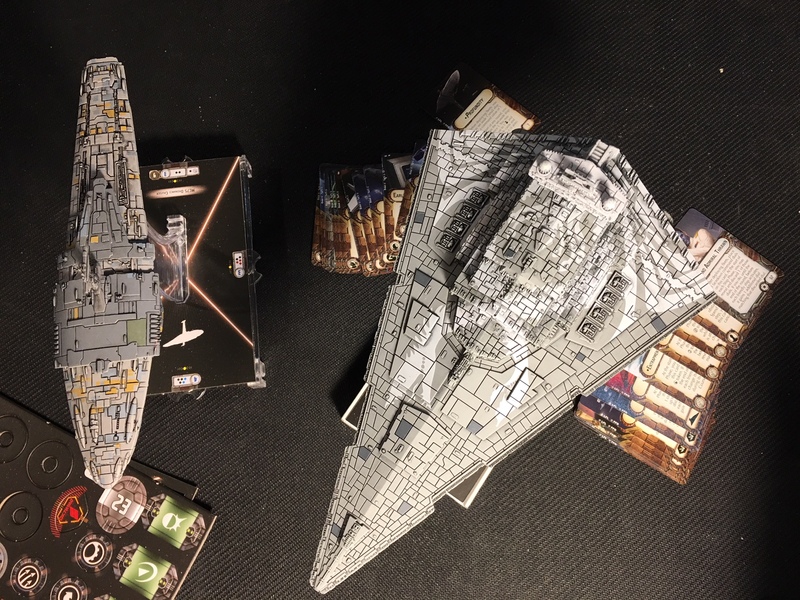 FFG had sent me these two ships to review! I showed my friend and immediately we knew that the game we wanted to play was going to have to wait so we could dive right in to these expansions! 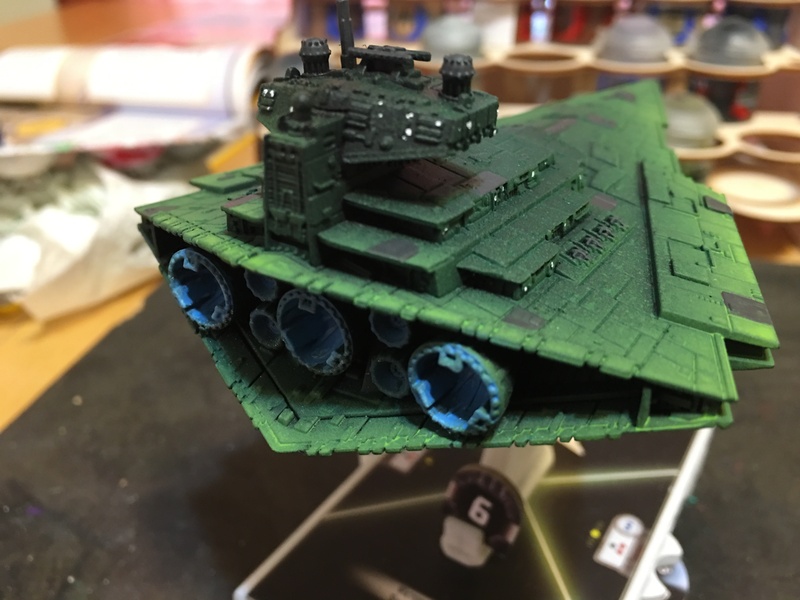 The Profundity and Chimaera are gorgeous! 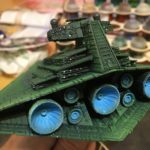 First the Chimaera – I was really pleased at the fact that the paint job is on both the top AND on the bottom. A really nice touch. This expansion really does a lot to emphasize large ships and make them more competitive, which has been one of my top complaints in the game so far. Additionally, the explanation of raid tokens that comes with the rules, clears up all of the speculation as to how we can get rid of them. You can either spend a command token to get rid of a matching raid token, (Making commanders like Tarkin and Garm more useful) or you can spend an entire dial, to get rid of ALL raid tokens. 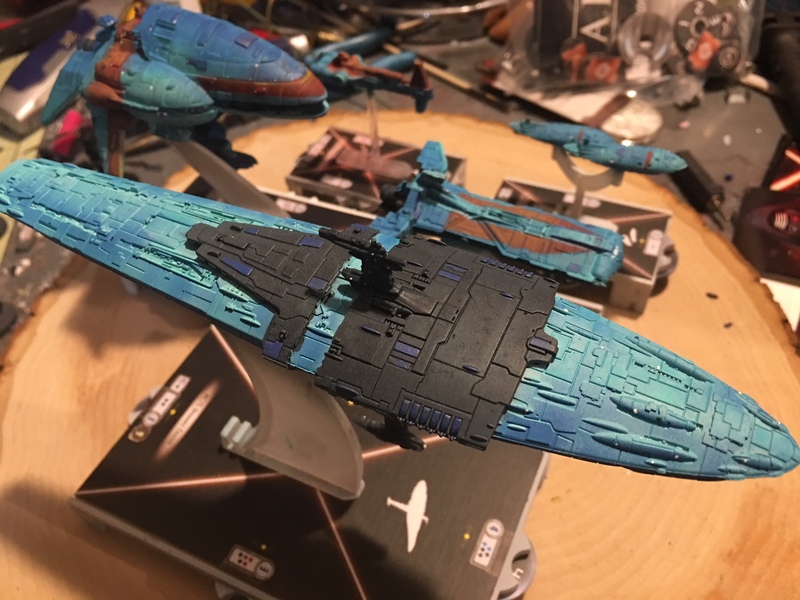 Additionally the Gauntlet Fighters are gorgeous, and Gar Saxon’s ability to finally harass squadrons with Intel or Relay, begin to address my other concern with this game, in the form of Relay. 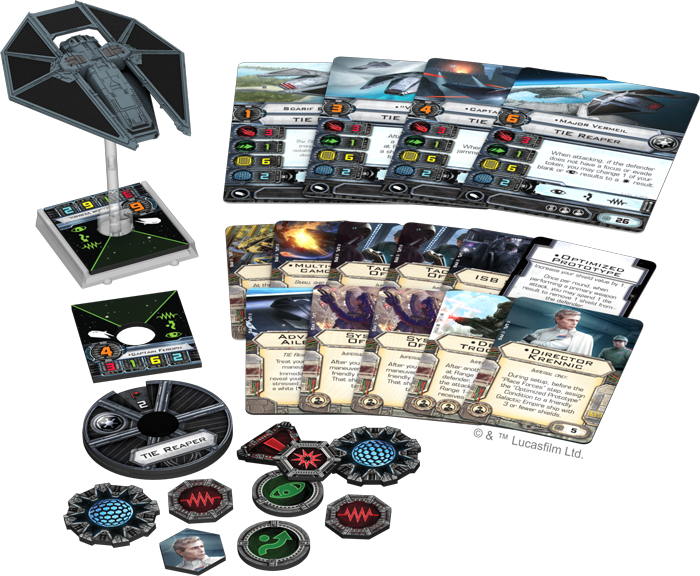 Another thing that is great about this set is the fact that it comes with enough new Star Destroyer cards to outfit itself and 2 additional Star Destroyers, so you can take 3 brand new ships into battle using the cards that come with this expansion! 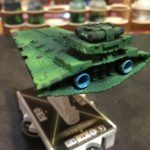 Considering that you get all that plus two new squadrons, this is one heck of a value for a single box! Now the Profundity expansion was really something special. First off, I think this ship may be the best looking ship the rebels have in game up to this point. Honestly, it is just jaw-dropping. 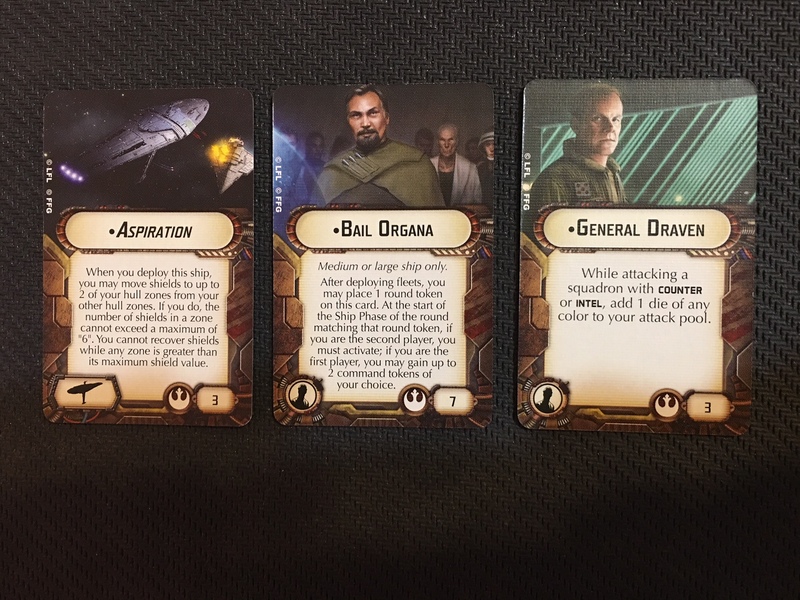 Like the Chimaera, it comes with lots of good cards that will really help large ships, and some duplicate cards that means rebels players won’t have to buy the Chimaera just to get a copy of Strategic Adviser. 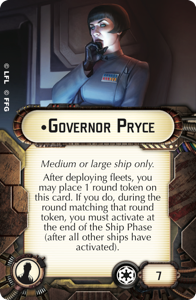 Additionally, cards like Bail Organa offer a asymmetrical counter to cards like Governor Pryce. 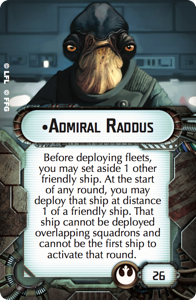 And considering new Hyperspace Jump mechanics, that show up with the Profundity title and Admiral Raddus himself, the rebels gain a unique tactical advantage in their ability to deploy ships almost anywhere on teh battlefield! 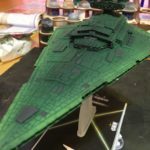 With an emphasis on large ships and tokens, this looks to be a truly amazing ship! Is this going to be an amazing wave or what? 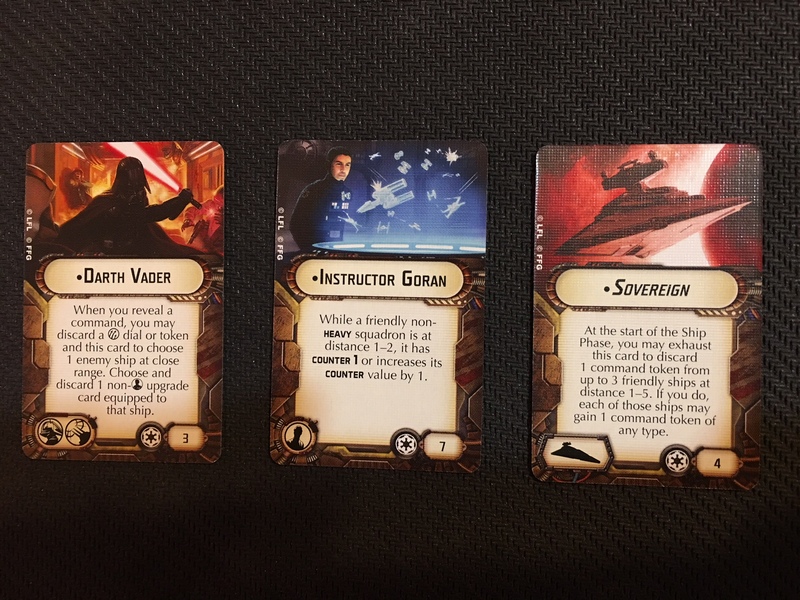 At the time of writing this article, we still haven’t seen a good preview of the Profundity expansion so I’m doing this all based on what little we know about Raddus. So Raddus hasn’t seen a whole lot of attention yet in the big hype train surrounding Wave 7 for Armada. I’d say primarily because of 2 mains reasons. 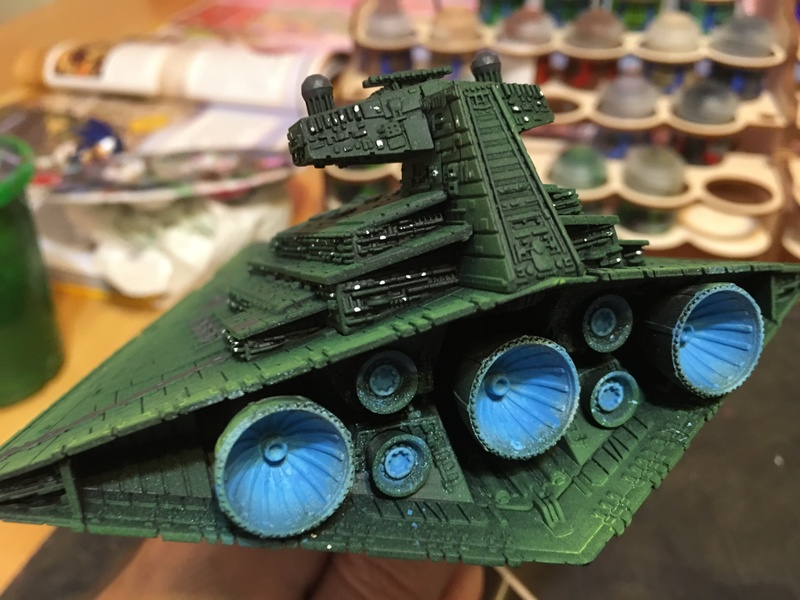 First, Thrawn’s expansion, the Chimaera, has gotten most of the attention thus far with several articles, and Secondly, Raddus at a glance, appears to give us something we already have access to – a Ship warping in. 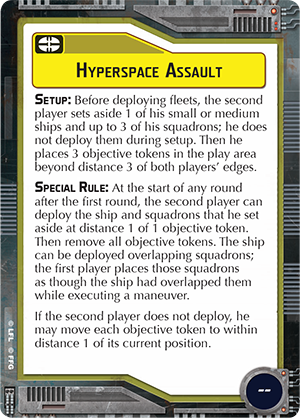 Now we’ve already seen a similar mechanic when it comes to the Yellow Objective, Hyperspace Assault. I think that I wasn’t initially too impressed with this commander because of that. It didn’t feel “fresh”. It didn’t feel “new”. But once I looked closer I realized this guy is far superior to that objective and has an awful lot of versatility. In fact, I think Raddus actually takes the place of “Top Strategic Master”, whereas most people may have expected that title to go to Thrawn. We know now (thanks to the latest FAQ) that you will lose the game if you deploy 0 ships, so you’ll need to start with at least something perhaps a cheap small ship. But the Raddus Bomb is a strategy that involves having multiple ships deploy at the same time. 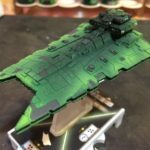 If you are using Hypserpscae Assault you can effectively have Profundity dock a CR-90, and have an Assault Frigate off the map with Hyperspace Assault, (Have that Assault Frigate equipped with Rapid Launch Bays – docking 3 B-Wings, plus your 3 from hyperspace assault), and effectively surprise an enemy with your Assault Frigate warping in with 3 Squadrons, (then it can do a Squadron command and deploy it’s own docked squadrons for a total of 6), then Warp in Profundity, and then deploy a docked CR-90. 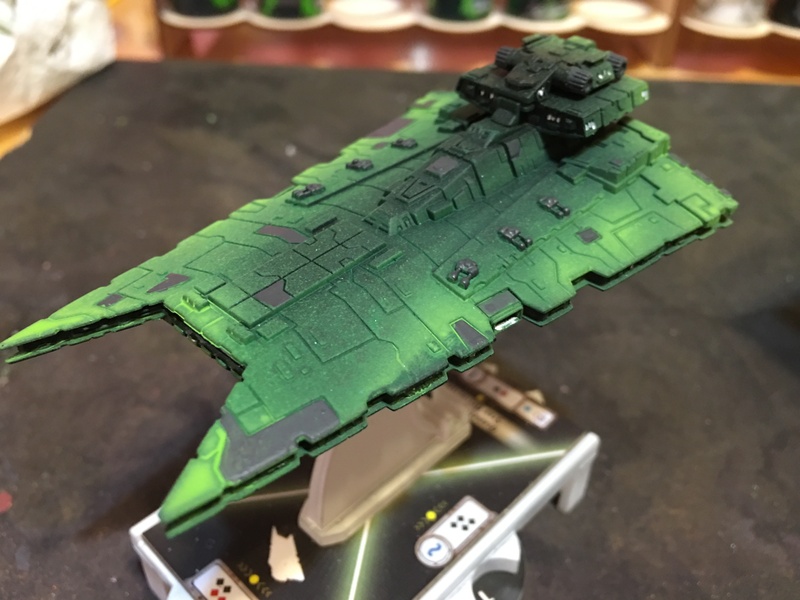 This can be a really fun way to go, but you run the risk of having your lone ship destroyed BEFORE you deploy everything else – and if that were to happen you’d instantly lose. I’ve looked deeper at Raddus and think that more subtle usage of his ability might be a more effective approach to bringing him into games. Raddus is better than the Hyperspace Assault objective’s benefit for a multitude of reasons. 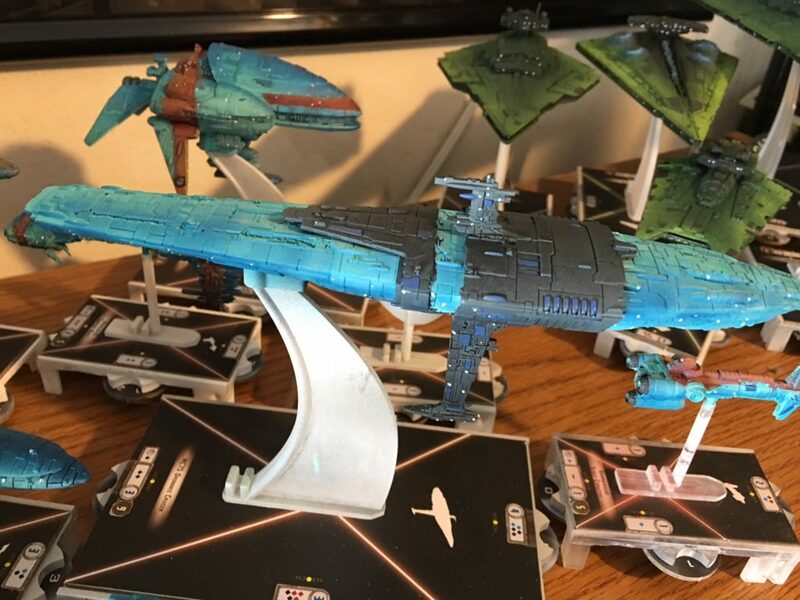 First, you aren’t restricted to only small and medium ships, which means you can take that loaded up LMC-80 and surprise your opponent with it. 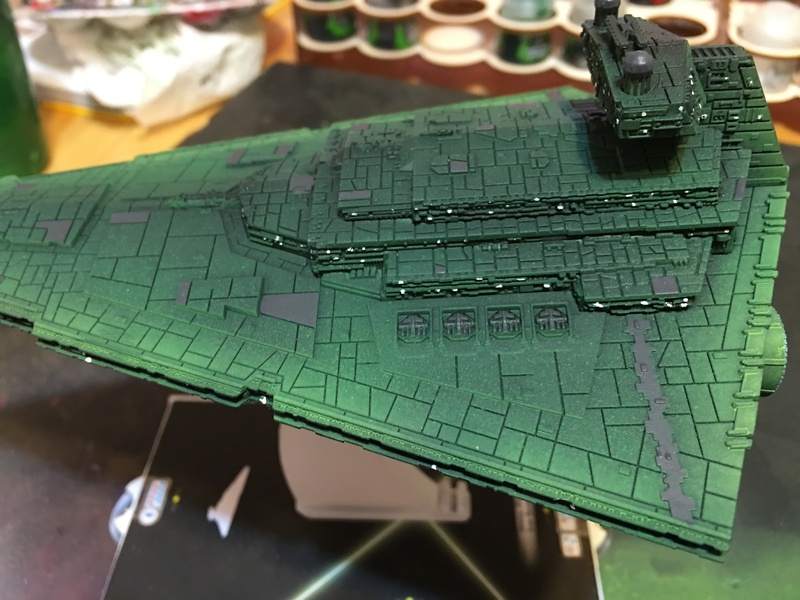 LMC-80s make for excellent flanking ships, with the ability to move at speed 3, take gunnery teams, and hit you just as hard as an Imperial Star Destroyer, being able to surprise an enemy with one of these is going to feel great! 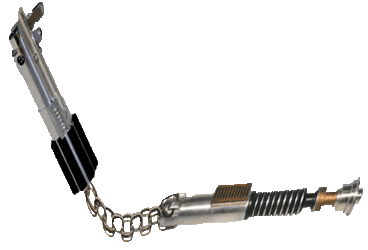 Similar to how Governor Pryce allows an Imperial Star Destroyer to gain an advantage by activating last, Raddus can act alternatively for the Rebels, and allow you to DEPLOY last. By using his ability during the FIRST turn of the game, you’ll effectively have the final deployment. This is perfect for flanking ships, but also it allows you to adapt to any objective that might want you to put a ship somewhere without broadcasting your plan to your opponent during setup. Also, if you deploy that big flanking Spinal Armament, Gunnery Teamed MC-80 Liberty at the start of Turn 1, you can gain 2 smaller advantages as well, in that you A) can push it past the normal deployment zone a bit, and B) won’t suffer from the penalty of not being able to activate it first. This is especially powerful if you end up being first player, as you’ll have an MC-80 that may end up deploying at it’s furthest forward spot, past another forward ship, and at speed 3. 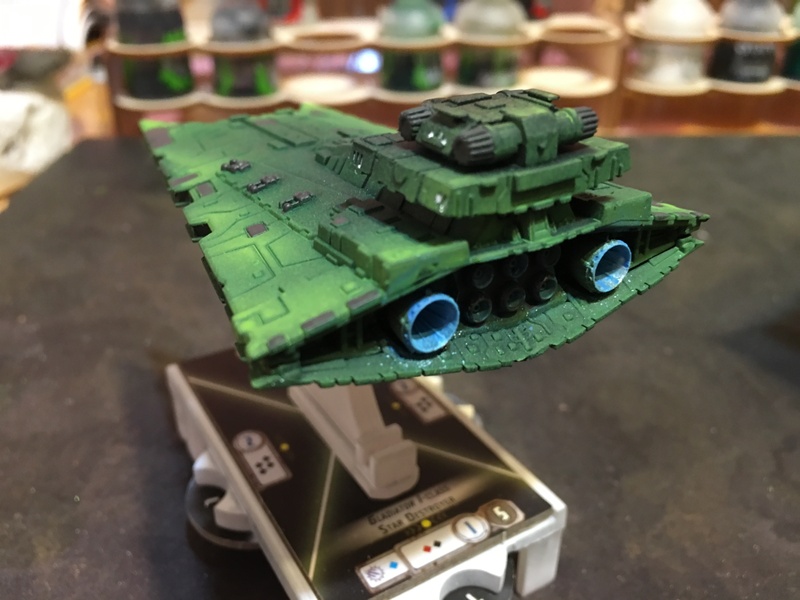 This will put it in prime position to shoot first on turn 2. You might even find yourself in a position to destroy two enemy ships at the start of the second turn this way. 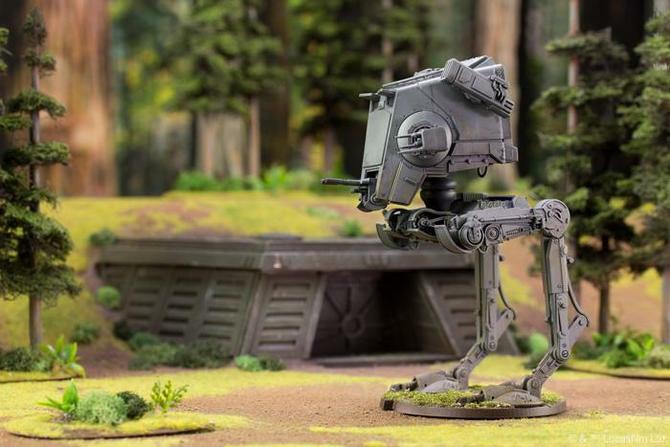 Another option is to take a Home-One style MC-80, and drop it at the start of turn 2, directly in the path of your enemies. Set one of your smaller ships to speed 3 or 4, and get them close enough to the enemy fleet that a large ship deploying at that point will really screw up their plans. It’s a tough enough ship that it can take a beating and survive for a turn or 2, and it’s large enough that it’ll likely cause some bumping. Bonus points if you can force enemy flotillas to bump! 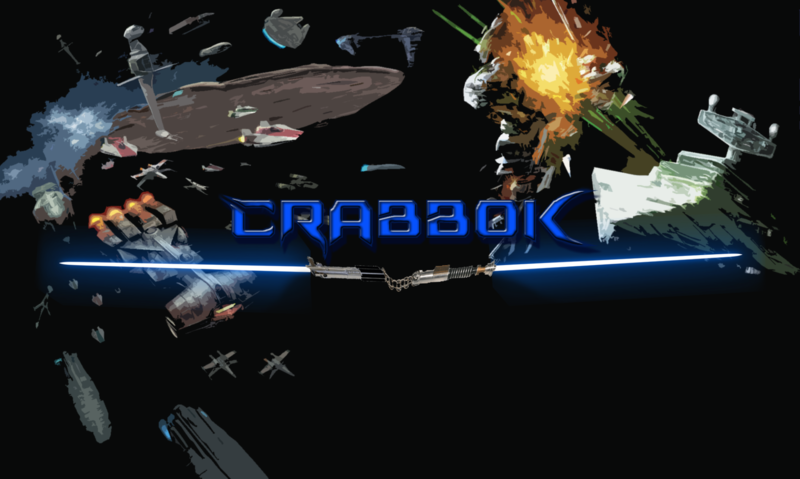 Then when you do activate it, you’ll have those tremendous powerful side arcs in close range of your opponent’s ships! The best part is that you’ll be able to choose where you place the MC-80 so you might even end up with both side arcs having a great shot! You can also probably leave off certain upgrades like Engine Techs, since getting into position will be done for you already at that point. 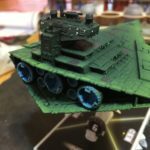 The latest FAQ has stated that these projector tokens remain in place for the entire game. 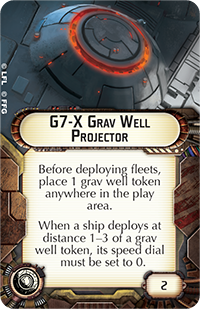 That means that enemy ships that “deploy” after the start of the game, are also vulnerable to the effects of the grav well projector. Having your 150+ point MC-80 deploy, and get set to speed zero is a real problem, especially when you can’t activate it first. That means your opponent will get at least one chance to shoot you, and you will NOT be allowed to spend any defense tokens. This could allow even the strongest ship to potentially be killed in a single attack. It may be a good idea to bring along Lando Calrissian just in case this happens. 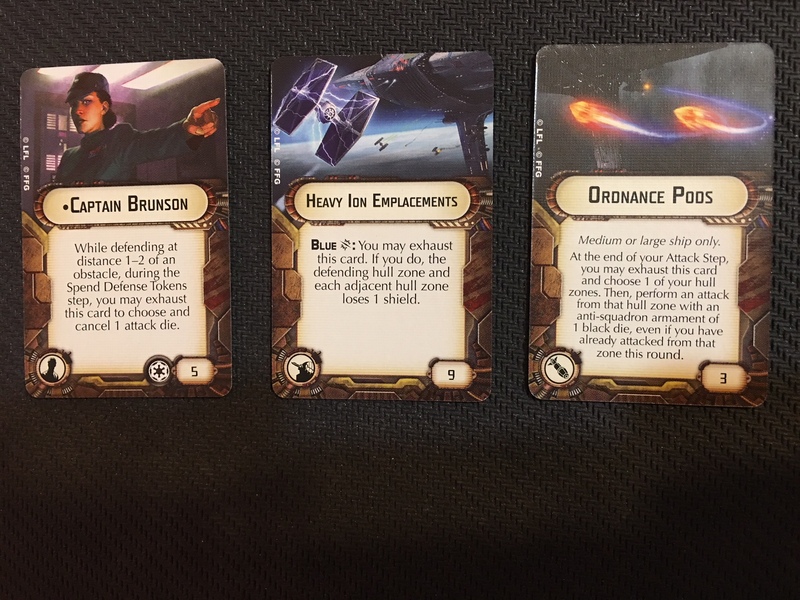 The good part, is that these tokens have to be placed before deploying fleets, so that still gives Raddus a fighting chance against Interdictors. 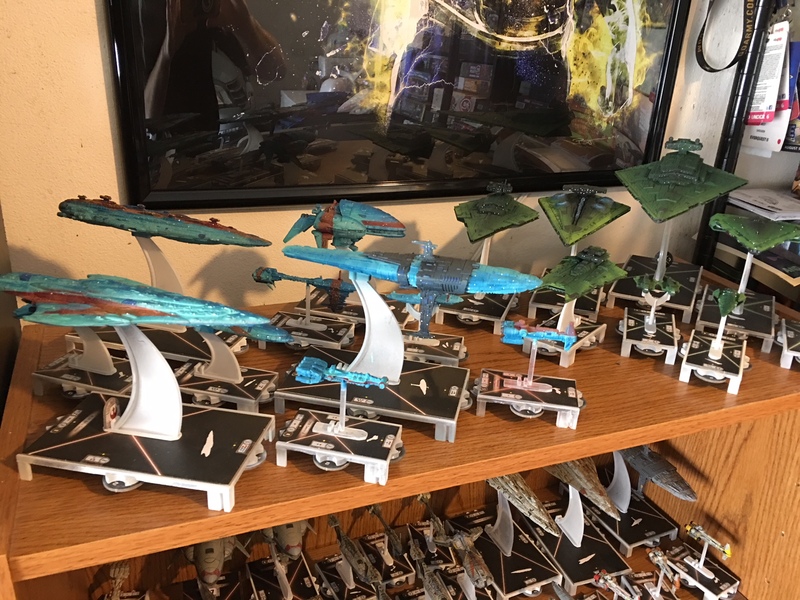 But will we see fleets with multiple Interdictors in the future? 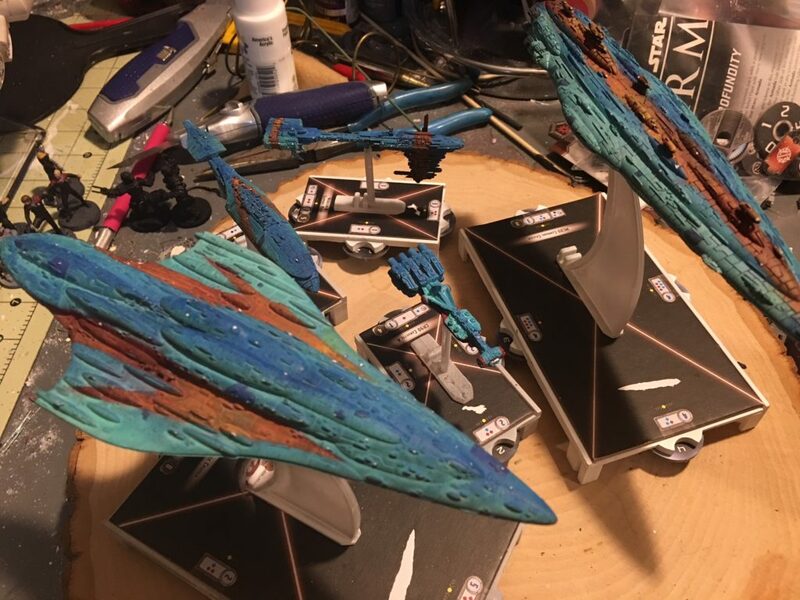 I doubt it, but with the release of Wave 6’s Disposable Capacitors, Interdictors are stronger and can actually deal out some damage even at long range now, so it might just be a thing, depending on how prevalent Raddus becomes. 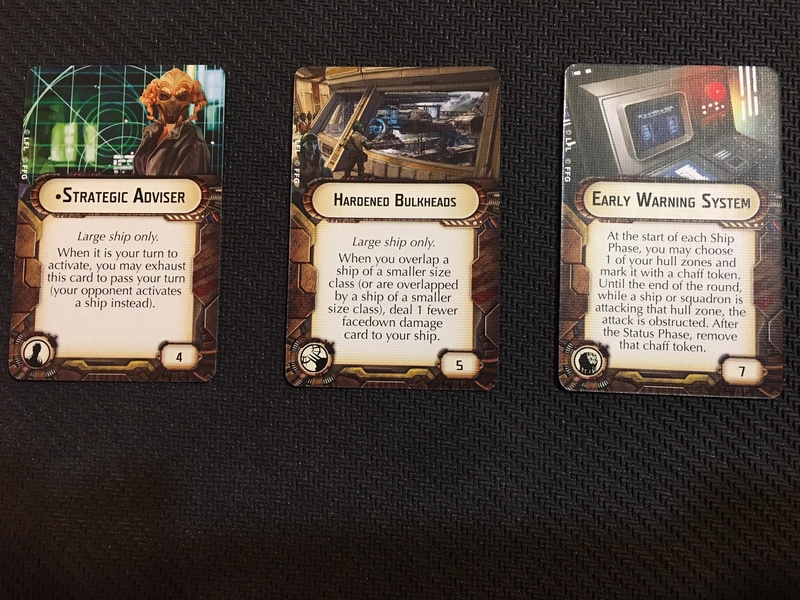 Counters are a good thing – they keep one list from running wild – and even though I doubt we’ll see double Interdictor Lists become widespread, it’s nice to know that there are some effective measures to stop this master Mon Calamari from running amuck! 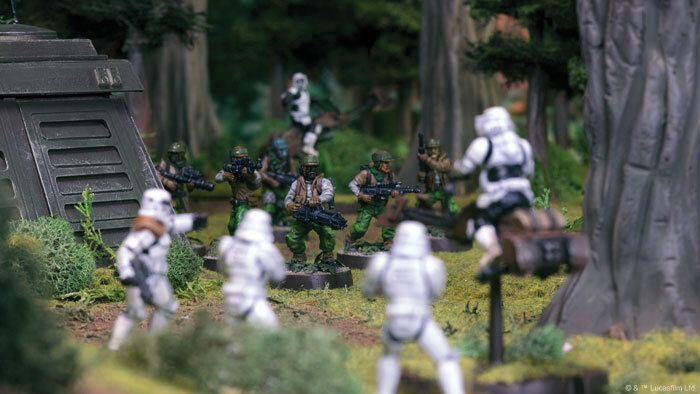 Wave 7 was just sent to the printer finally – so it’s looking like we might actually have them in our hands at some point in the forseeable future! 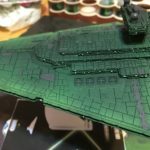 My hopes for Q1 are small, especially since FFG deliberately said “Early” 2018, as opposed to Q1. I would bet on a July release at this point. Which game is the best? 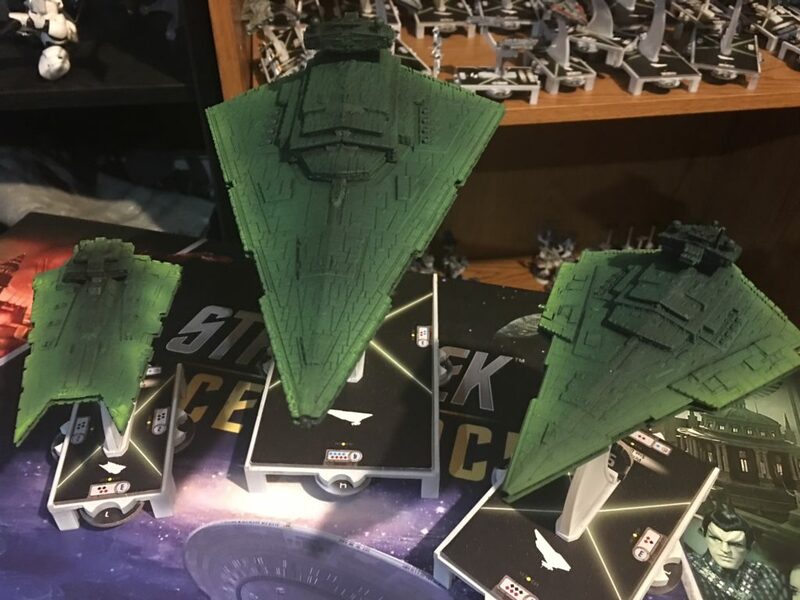 Have you ever wondered who would win if you could pit your X-Wing collection against an Armada fleet? 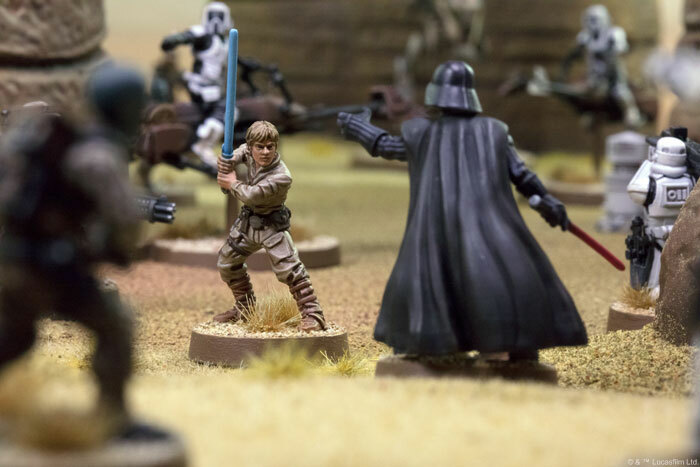 I’ve decided to take it to the next level and pit all of the FFG Games I cover against each other in an event I’m calling Galactic Supremacy! 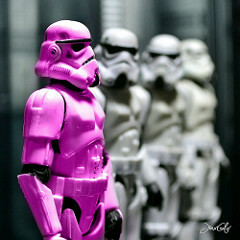 Galactic Supremacy will be a free for all battle where each game will battle by it’s own rules. 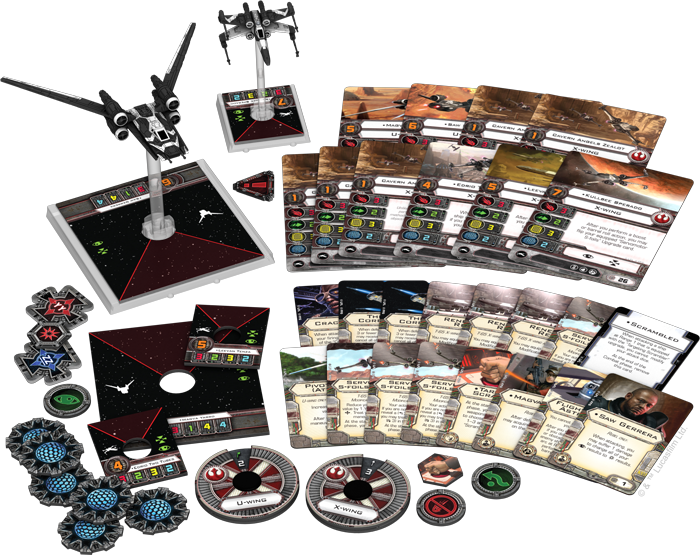 X-Wing, Armada, Imperial Assault, and even Star Wars Destiny will face off against one another! In the coming weeks I’ll be updating my channel with videos for each game, detailing what I’ll be bringing to the game to represent that game. It’s going to be a last-hero-standing rumble, so emphasis will be on survivability and eliminating the competition. Training Grounds, will be the game mat. 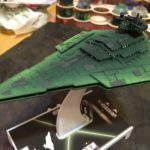 Imperial Assault will be restricted to movement squares, and Destiny won’t be able to move at all, while X-Wing and Armada will be able to fly anywhere, but will lose if they fly off the mat. The best part is that this battle will happen during a LIVE BROADCAST and everyone viewing will be able to help make the decisions!